Our charity committee, the Charity Board, was very active in 2015. 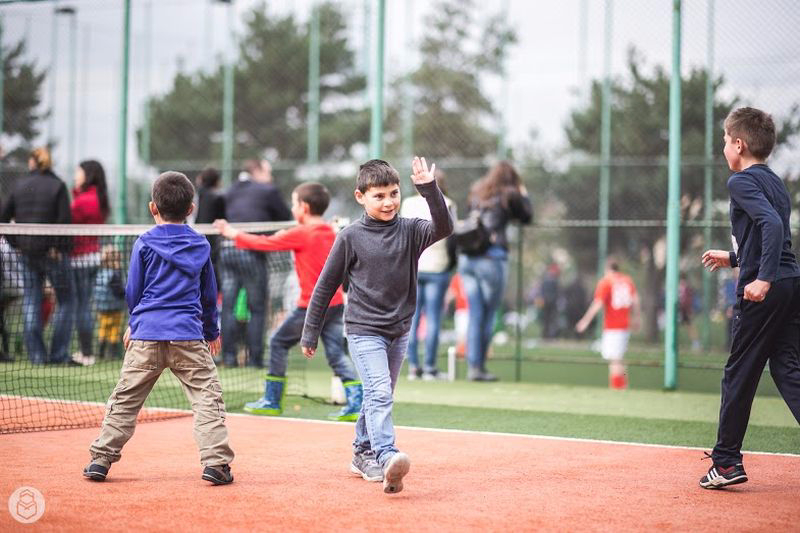 Last year’s campaign was developed under the motto “Hope in motion” and its’ direct beneficiaries were children from 5 associations – Căsuța Bucuriei, Asociația Familia Regăsită, AKSZA, Acoperământul Maicii Domnului and Asociația Alfa Grup – but also underprivileged people supported by other organizations and institutions. Charity Party – the first event of 2015. On that occasion we officially launched the „Hope in Motion” campaign. 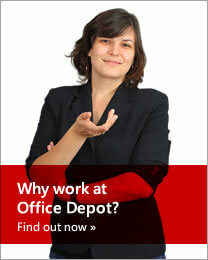 It was a joyful night with music and dancing, in which the Office Depot employees were shown the results of the 2014 campaign and the plan for the 2015 one. March 1st “Martisoar” Fair – in the Office Depot reception we improvised some booths and invited representatives of the partnering associations to present their hand-made March 1st tokens. The Office Depot employees had the opportunity to admire and purchase them, thus helping the associations raise money for their activities. Habitat for Humanity – the Office Depot employees were given the opportunity to participate at the construction of houses for impoverished families, through the Habitat for Humanity Organization. For one day, a group of 15 associates went to the construction site in Jucu and helped by installing scaffolding, plating drywall and plastering. Walking Month – Office Depot participated this year in the Walking Month Competition, organized by Betfair in collaboration with Fundația Comunitară Cluj. 10 teams, each made up of 3 employees fought for 4 weeks, along with teams from other companies, to raise the largest number of steps made in that period. The money raised through the purchasing of special step monitoring bracelets was donated to the Pediatric Hospital in Cluj. Food Fair – it is one of the most appreciated events organized by the Charity Board. As we do every year, we, the Office Depot employees, were invited to cook for our colleagues. This year’s theme was „the taste of childhood”. The money we raised by selling the food was used to organize a trip to Alba Iulia with the children. Trip to Alba Iulia – the Office Depot volunteers spent a day together with the children from Căsuța Bucuriei, Acoperământul Maicii Domnului and AKSZA, sightseeing in Alba Iulia. They visited the citadel, watched the changing of the guards ceremony and at lunch they savored the delicious traditional pies from “Mama Luța” in the nearby Ampoița village. 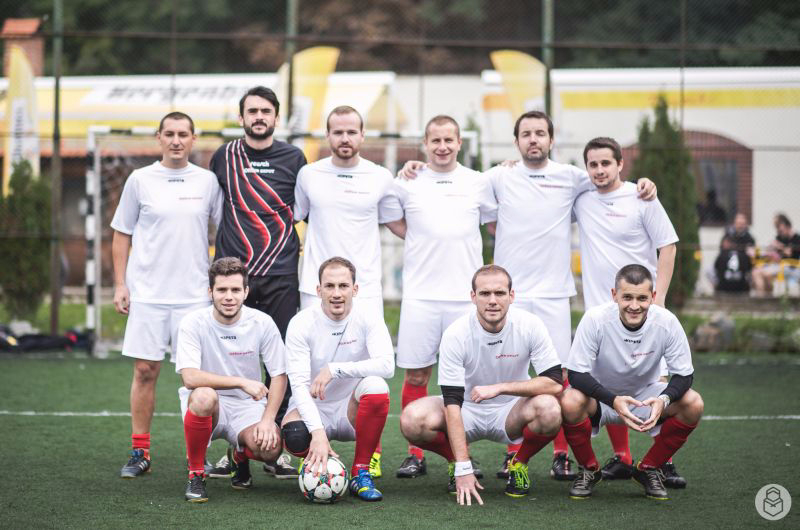 Charity Football Cup – it is a traditional event, in its’ 7th year. The event was organized at the „Unirea” sports base in Cluj-Napoca. Multinational companies from Cluj-Napoca participated in the competition. The funds raised through the participation fee were donated to Căsuța Bucuriei, to be used in organizing educational activities and psychotherapy sessions for the children. SWIMATHON – Office Depot was represented by a team of 7 employees (Swim4Hope) which swam with the purpose of raising money in order to purchase 15 bikes for the children from the creative art program „HOPE”. Movie Night – the children from the beneficiary associations were accompanied by the Office Depot volunteers to the movies where they had popcorn and a great time. 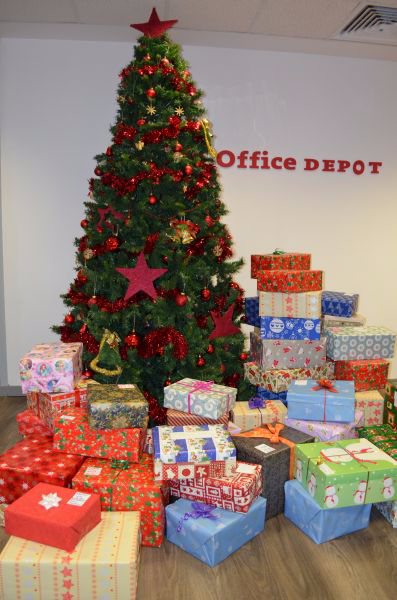 Shoe Box of Joy – the Office Depot employees were invited to prepare gifts for the children from the beneficiating associations. The Charity Board team posted a list with the names of the kids, their ages, and their letters to Santa Claus. 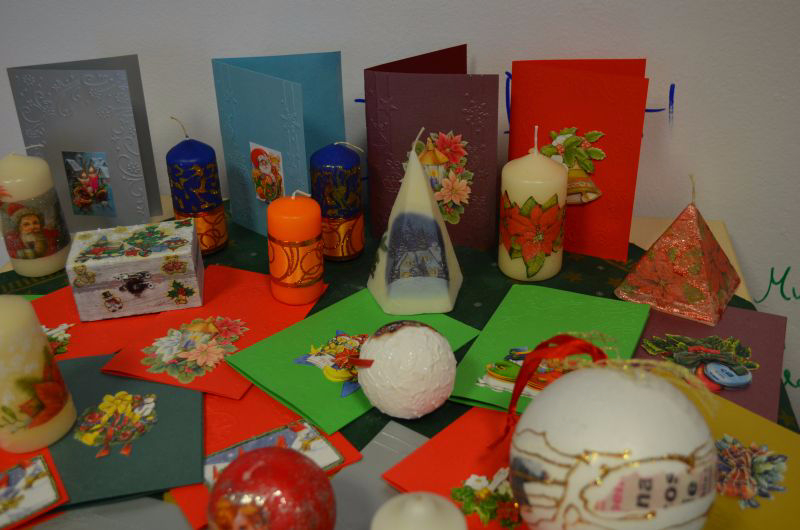 Thus, the employees had the opportunity to prepare personalized gifts for each child. The Charity Board members also visited the children at the Pediatric and Oncology Hospitals, sung some carols for them and gave them their gifts. Carol Concert – the children from the beneficiating associations were invited to sing carols and bring some Christmas Spirit to the Office Depot employees. During the event, the employees that had prepared gifts for the children in the Shoe Box of Joy campaign had the opportunity to give these presents to the children, personally, and chat a bit with them. In 2016 we won’t slow down and we hope to continue to bring about positive changes in the lives of the ones we interact with.